Known as the "Capital of the Cotswolds", Cirencester is a thriving market town with ancient origins. 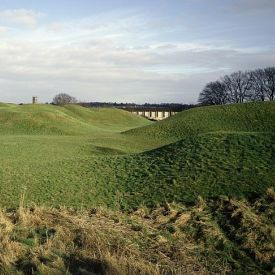 The Roman fort (later town) of 'Corinium Dobunnorum' was one of the most important places in Roman Britain. Today, the only visible remains of the Roman city are part of the old town walls and the grassed-over amphitheatre. 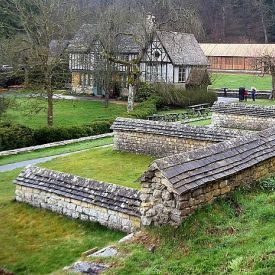 With so much history, Cirencester's award-winning Corinium Museum - where you can experience life as a Roman and marvel at the stunning mosaics - is high up the list of must-see places to visit in the Cotswolds. Cirencester's prosperity in the Middle Ages was largely due to it being a centre for the Cotswolds' wool trade, and the "woolgothic" St John the Baptist Church still dominates the Market Place. Cirencester is home to Britain's oldest open air swimming pool, which is run by volunteers and uses natural spring water. But it's not all about the past with Cirencester, as the town mixes old with new splendidly with a vibrant arts centre with workshops in a converted brewery and an amazing selection of independent shops, a variety of bustling markets and lots of individual places to eat and drink. The town boasts some lovely open spaces, including the Abbey grounds and the extensive 18th Century parkland landscape of Cirencester Park, famous for its polo ground where various members of the Royal family have played. Cirencester is an important regional tourism centre and the Visitor Information Centre is located in the Corinium Museum.